Update 3:45 p.m.: St. Petersburg Police say that Mr. McKay has been found. No other details at this time. 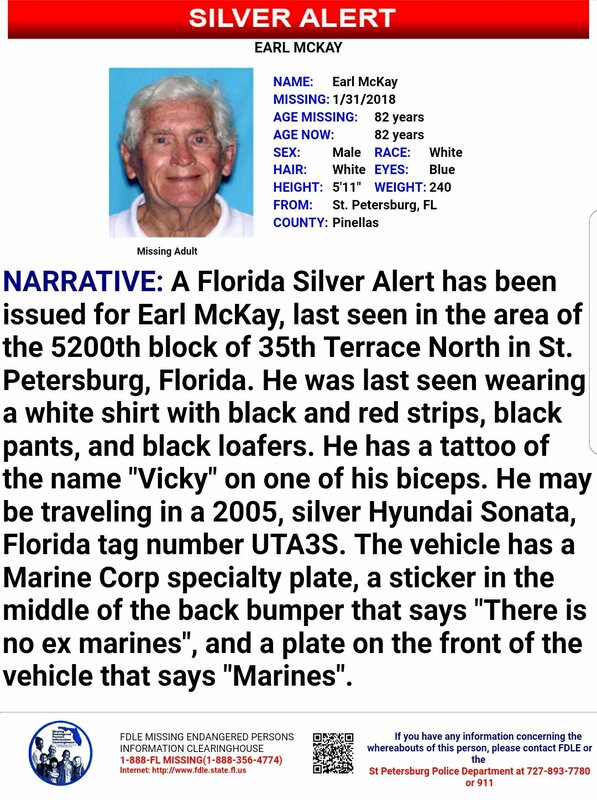 Detectives from the St. Petersburg Police issued a Silver Alert for missing 82 year old Earl McKay. He was last seen leaving his home at 9 a.m. in the 5200 block of 35th Terrace North. Last seen wearing a white shirt with black and red stripes, black pants, and black loafers. Anyone with information should call the St. Petersburg Police Department at 813-893-7764.